Chaos!! 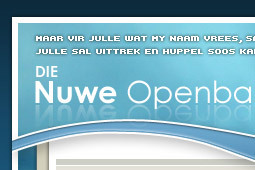 Vulkane bars orals uit. Date: Monday, 1 October 2007, 11:56 a.m.
EYEWITNESSES have reported seeing a 'catastrophic' volcanic eruption on a tiny island off the coast of Yemen in the Middle East. The Yemeni government asked NATO to assist in searching for survivors. Ken Allan, a Navy Public Affairs with the Canadian Armed Forces, said a NATO fleet just outside the territorial waters of the island Jazirt Atta-Ir reported seeing a “catastrophic volcanic eruption” at 7pm local time today (0200 AEST Monday). The three-kilometre-long island is about 115 kilometres off the coast of Yemen. “At this time, the entire island is aglow with lava and magma as it pours down into the sea. We do not have confirmation of how many people were on this island at the time of the eruption,” Allan said. “The lava is spewing hundreds of feet into the air, with the volcanic ash also (rising) a thousand feet in the air,” Allan said. The Canadian Armed Forces said they were trying to locate nine people believed to be at sea after the Yemen coast guard requested help. The NATO fleet was sailing toward the Suez Canal when it spotted the eruption. Date: Monday, 1 October 2007, 11:48 a.m.
VLADIVOSTOK, September 30, vladivostoktimes.com One of the most active volcanoes at Kamchatka - Shiveluch - threw out ashes, the loop of which stretched 20km to the west and to the south-west. According to the Kamchatka branch of the Geophysical service of RAS, in one day over 300 local earthquakes were registered at the volcano. The most powerful of them could be accompanied by emission of ashes from the crater to the height up to 4,6km over the sea level, scientists think. Date: Monday, 1 October 2007, 11:50 a.m.
Jakarta - Government authorities warned residents living in the danger zones of Mount Kelud in Indonesia's crowded East Java on Sunday of possible danger activity by one of the world's dangerous volcanoes, local media reports said.